Jon Keith Diamonds: Bride at work day AND sparkles! 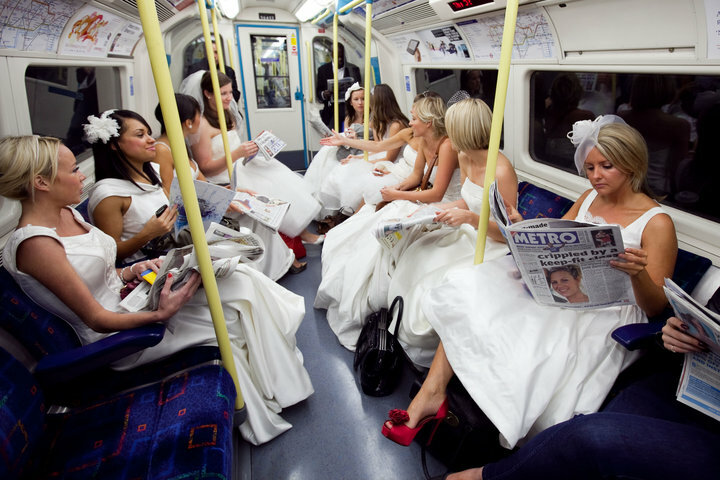 ....what more could any Bride want! Today is National Bride at Work Day!! 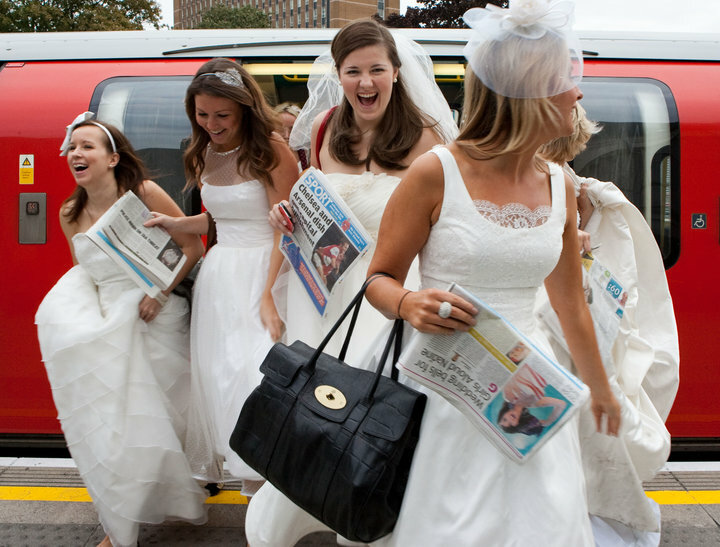 The National Wedding Show is calling on all Brides to wear their wedding dress to work to raise money for Breakthrough Breast Cancer. It doesn’t matter if you were married in 2010, 1910 or even if it’s still a work in progress... if you can find a dress (and fit into it!) 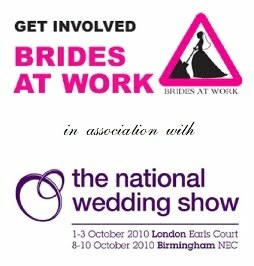 they need you to get sponsored to wear it to work on Friday 17th September 2010...THATS TODAY! The whole of the wedding party can get involved too. Encourage your friends, family and colleagues to take part. Whether they are the bride, groom, bridesmaid, bestman, mother of the bride or usher they can wear their outfits to work too. To all of those who have got involved - CONGRATULATIONS! Last night we delivered some stunning Wedding Rings to a lovely couple based in Essex. They were thrilled so we thought we would share them with you. 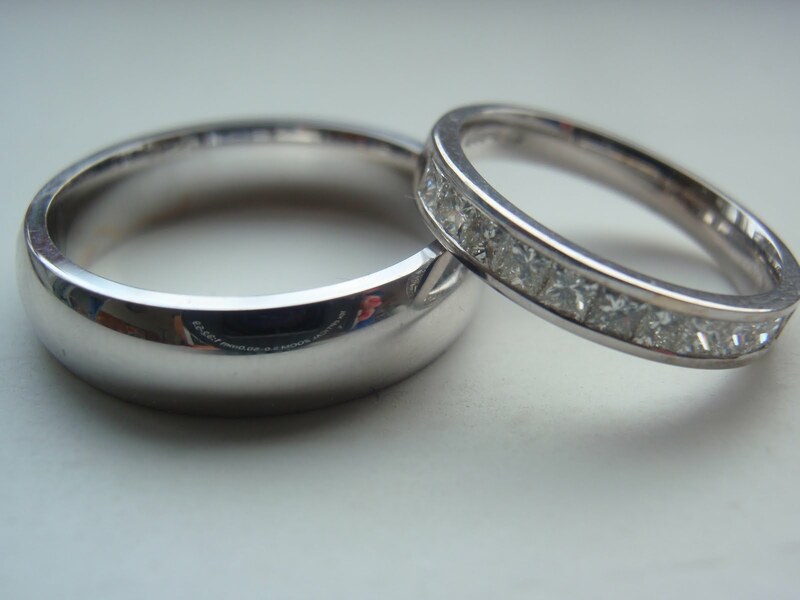 We hope you like them as much as they did! 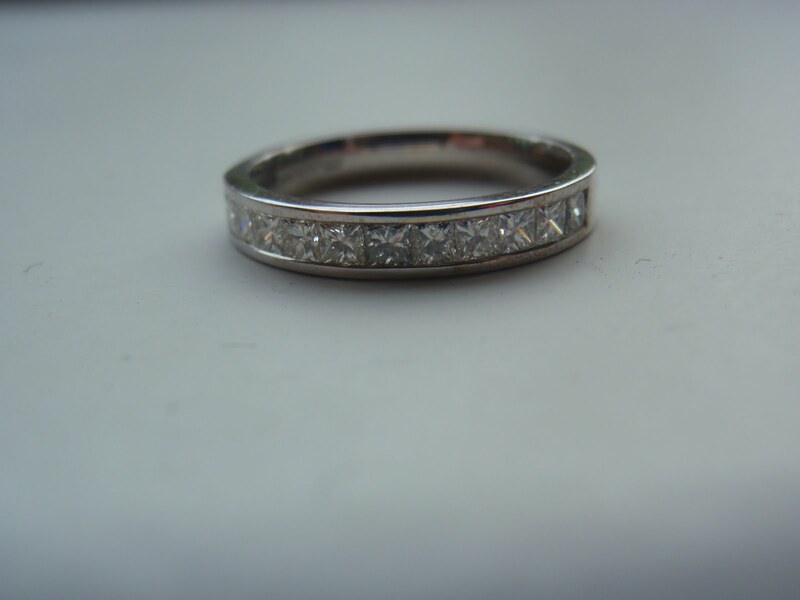 Ladies: 3mm wide ring set with 2mm wide Princess Cut Diamonds totalling 0.5ct in weight set in 18ct white gold. Mens: 5mm Court ring in 18ct white gold. 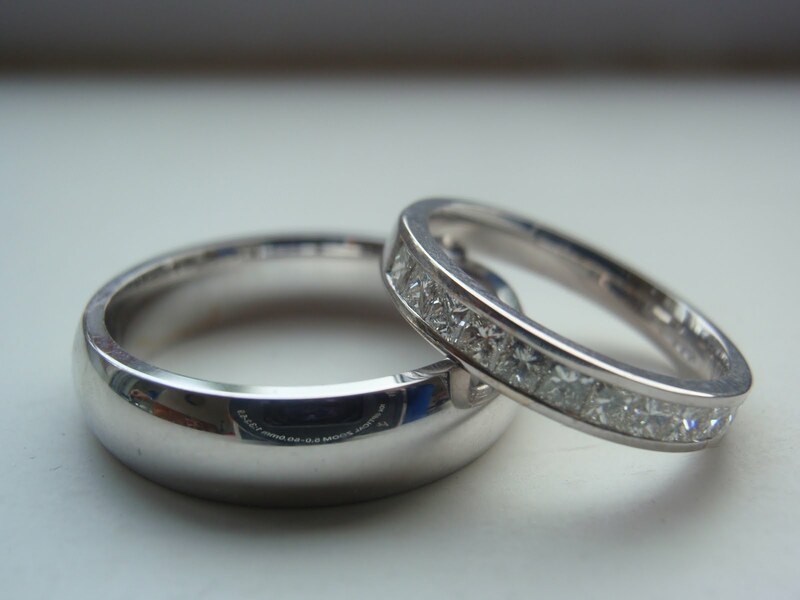 Remember if we can help you with anything then email jon@jonkeithdiamonds.co.uk or call 07904123297. For more photos of our work check out our FACEBOOK page. oh I wish I had of known, school run in my wedding dress what fun!